Invited to a barbecue with members of a fantasy baseball league as guests, I had only one choice. 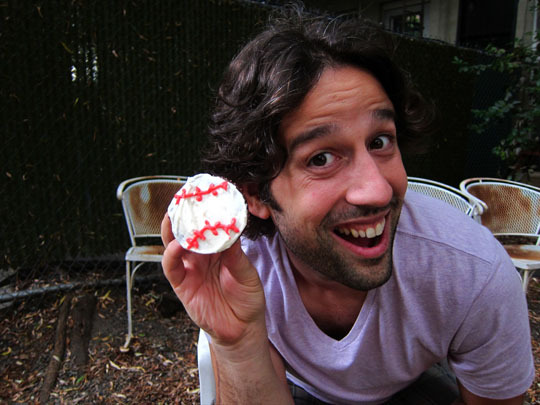 I had to make baseballs. 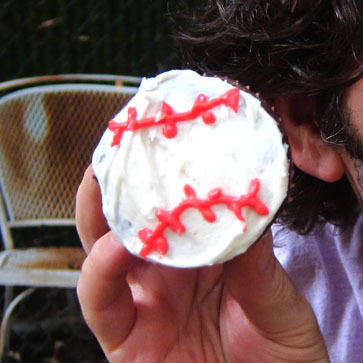 Cupcake baseballs, that is! I baked up some chocolate cupcakes and frosted them with vanilla cream cheese buttercream. The cake recipe called for both sour cream and buttermilk, but I settled for three times the sour cream. 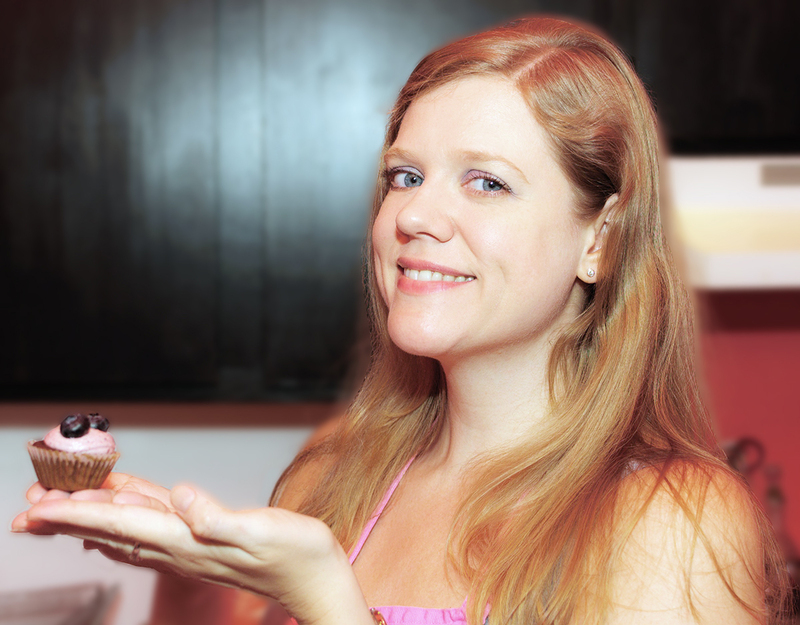 Though my decision was based solely on the ingredients I had on hand, I was really happy with the results. Piping the stitches was a little tedious–and I was late for the barbecue–but I did my best! I piped two arcs, then filled in the individual stitches, all in red. It took a lot more red food coloring than I expected (note to self, I need to stock up on food coloring gels), as I was determined not to show up with pink-laced baseballs. 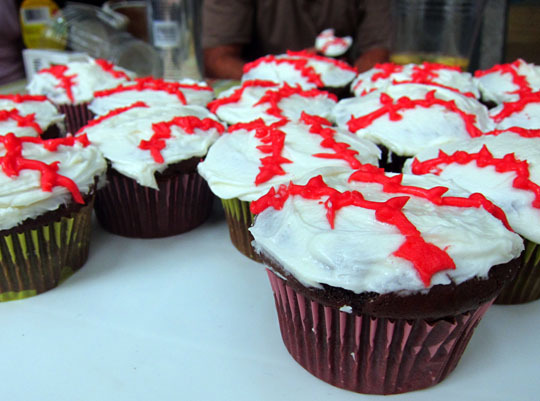 The crowd seemed to think the cupcake baseballs delicious…once they stopped playing with them! Olgu and Jesse playing "ball"